6 billion dollar apparel company, Tommy Hilfiger hasn’t always been the well-recognised brand that we know today. 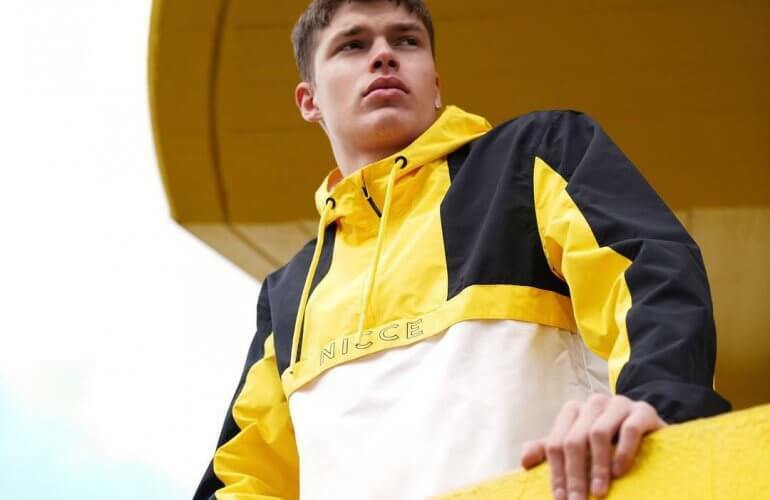 The brand’s signature use of classic red, white and blue, recreated old styles and trends worn by the masses, and in doing so has brought retro style back into the limelight, creating the brand we all love. But how did this brand’s journey begin? 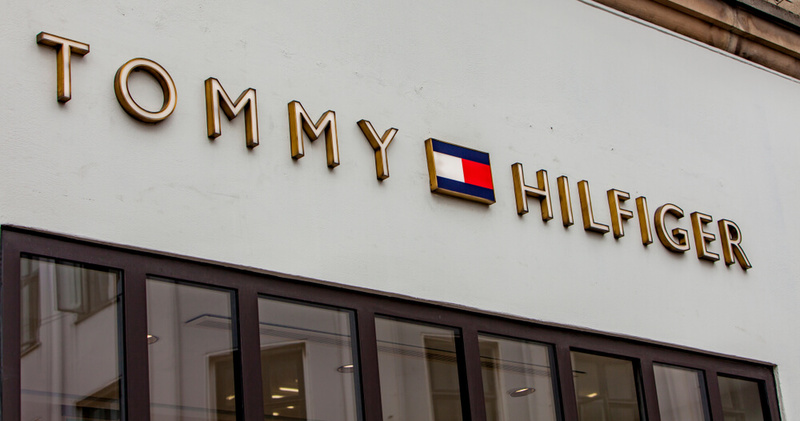 In this blog, we delve into the history of one of our favourite brands that we stock here at Standout to see just how Tommy Hilfiger came to be. Tommy Hilfiger was only just starting out in the 80’s and it took a few years for the brand to even get a little bit of publicity. It’s true what they say though, good things come to those who wait, because in 85’ Tommy Hilfiger got its first major ad displayed in the prime spot of Time Square, New York. 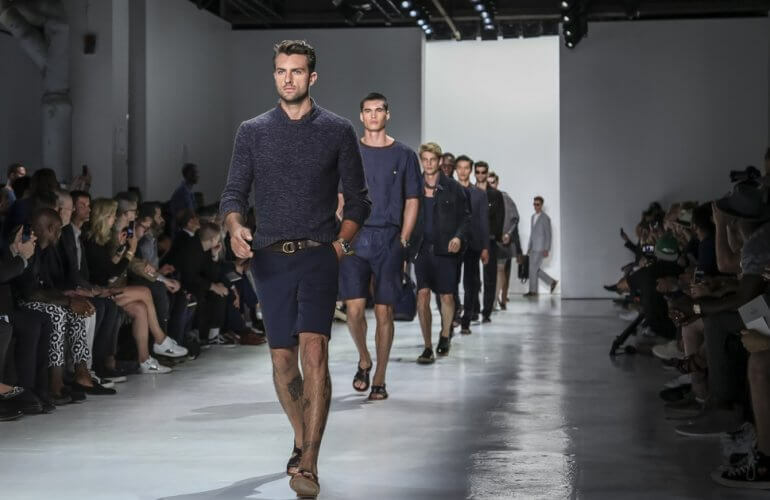 This was the start of the amazing journey yet to come as just a few years later Hilfiger was being compared to the likes of Calvin Klein for top brands targeting males. 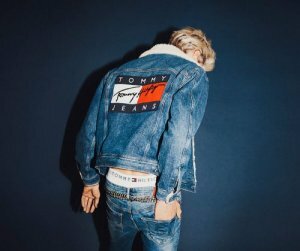 Tommy Hilfiger as a brand didn’t become widely known until the early 90’s. Hip-hop music was taking off, and all of a sudden up and coming rappers and musicians were starting to wear the clothing line. Not knowing much about the potential impact of ‘product placement’ at the time, the publicity which Tommy Hilfiger received through the rise in hip-hop culture put them on the map. 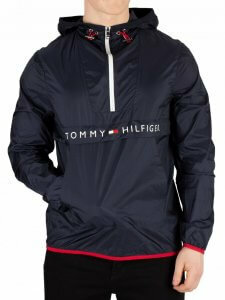 During the 90s Tommy Hilfiger was worn by Wu-tang-clan, Grand Puba and Snoop Dogg and many more. Grand Puba stumbled across the brand and felt so strongly about it he included it in his lyrics, rapping the name of Tommy Hilfiger into the ears of many. Grand Puba wasn’t yet a greatly established rapper, but definitely got the Hilfiger name out there, not only with his lyrics but also by showcasing Hilfiger clothes on his album covers. 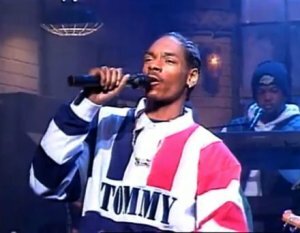 Little did Snoop Dogg know, sporting Tommy Hilfiger on the american TV programme ‘Saturday Night Live” would sky rocket sales for the brand, with products selling out the next day. This was a pinnacle point for Tommy Hilfiger and their success story as Snoop was the most famous L.A rapper at the time, meaning recognition for the brand erupted on a global scale. The hip-hop scene soon evolved and moved away from Tommy Hilfiger, but this wasn’t the end for the brand. 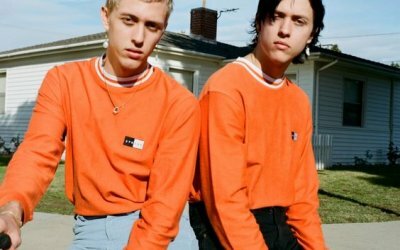 Hilfiger had a great relationship with the music industry from the get go and although this did continue, it was becoming less reliable as other brands began to take a share of the exposure. The brand was still ticking over while being mainly targeted at men, a new collection was on the horizon. Women of the world welcomed the new collection with open arms in 96’ as they could now be a part of the Tommy Hifiger fashion scene. From the iconic moment Snoop Dogg wore Tommy Hilfiger celebrity endorsements of the brand began to snowball. The Warner Brothers Studio store released an exclusive Bugs Bunny stuffed toy sporting a Tommy outfit, Beverly Hills 90210 star Brian Austin Green was caught showing off his new Hilfiger wardrobe, Micheal Jackson’s magazine spread in Vibe, read by the masses, caught the iconic music star rocking a Hilfiger jumper. With so many big stars sporting the brand, other big names followed suit, not only in the music industry, but flooding out into the entertainment industry and as far as Formula 1 where we recently saw Lewis Hamilton doing a collaboration collection with the brand. Tommy Hilfiger will be a brand that not only stands the test of time but that also continues to bring us the best of the best, the red white and blue that we know and love. Tommy Hilfiger as a whole has plans to bring fashion into the 21st century and beyond by creating collections that are made using 100% sustainable materials. 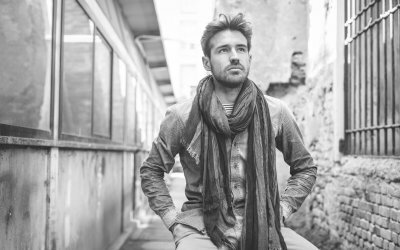 It’s the brand’s hope that this alongside reducing packaging and recycling materials will keep both the brand and the planet prospering for a long time. 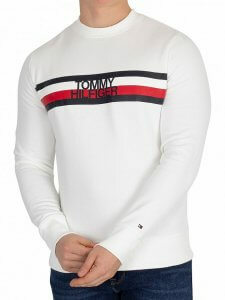 Here at Standout we have a fantastic collection of Tommy Hilfiger pieces – featuring retro styles and wardrobe staples. We’re an official retailer of genuine, brand new Tommy Hilfiger collections and we will definitely have our eyes peeled for what the Hilfiger brand has to offer us in the future. 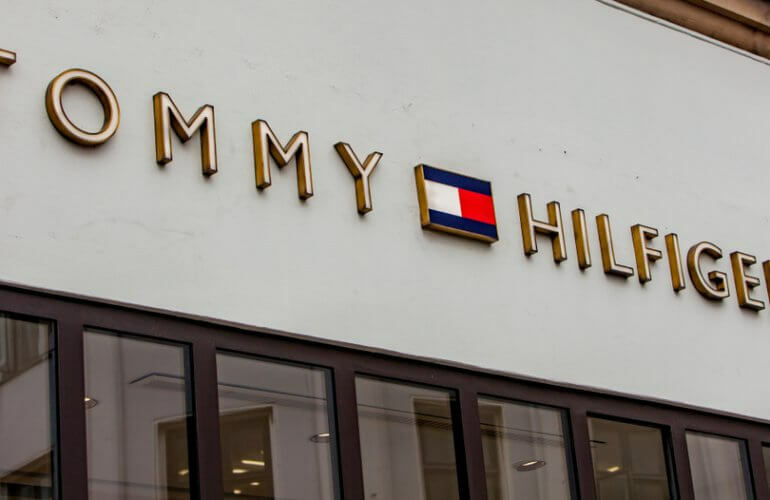 To give you some inspiration, we’ve picked out some of our favourite Tommy Hilfiger pieces and if they don’t take your fancy we have so much more. 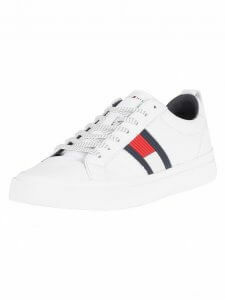 Take a look at the whole Tommy Hilfiger collection here at Standout.